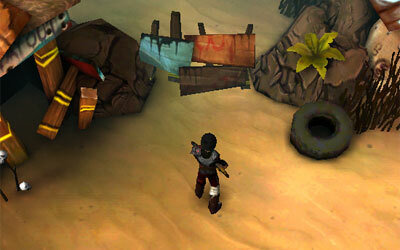 A barricade is a destructible fence found in the singleplayer campaign, usually made of wooden plates. It either blocks the main pathway or hides some hidden paths or area, like the common chests or mutant champions. Note that a barricade can be destroyed by both the players and the mutants, although the mutants would not aim at it intentionally.